For the first time ever, I have actually completed a photo a day challenge! I am extremely pleased with myself. 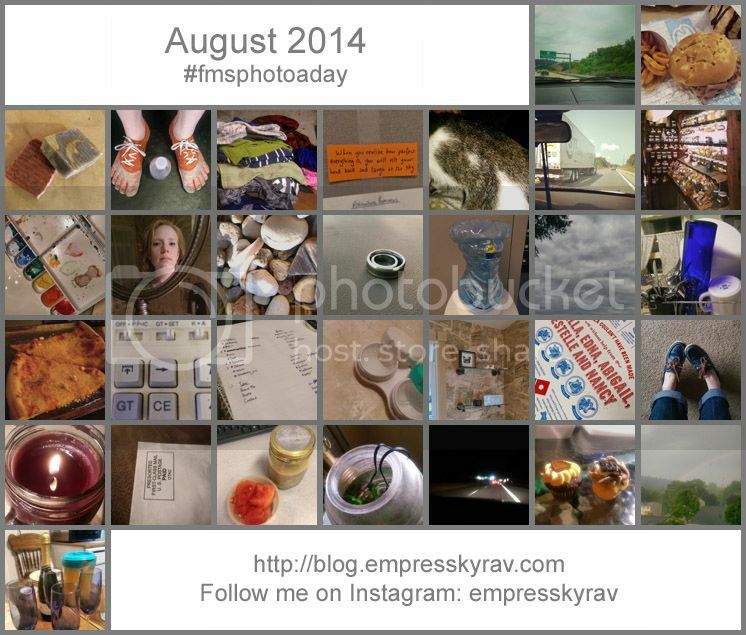 I followed the prompts from FMS Photo A Day list for August 2014, which you can find here (click on the image to visit her original blog post). If you'd like to see the full-sized versions, check out my Instagram at empresskyrav. 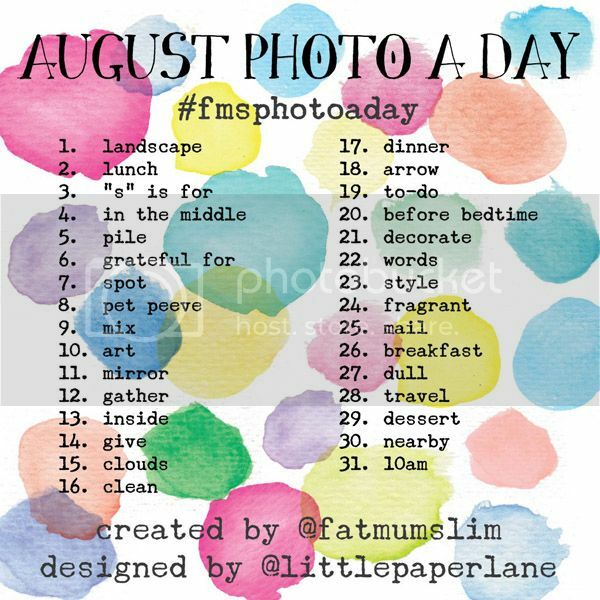 If you'd like to try following along with September's #fmsphotoaday you can find it here.